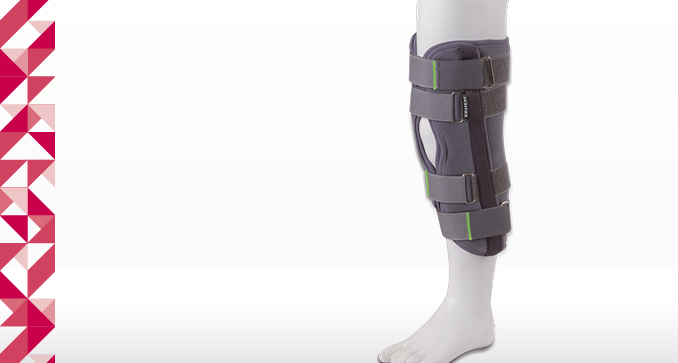 It immobilizes the knee in extension and the foot and ankle in an intermediate position in order to maintain the therapeutic effects obtained as a result of a surgical and orthopaedic intervention and exercises. Orthoses for use at rest. 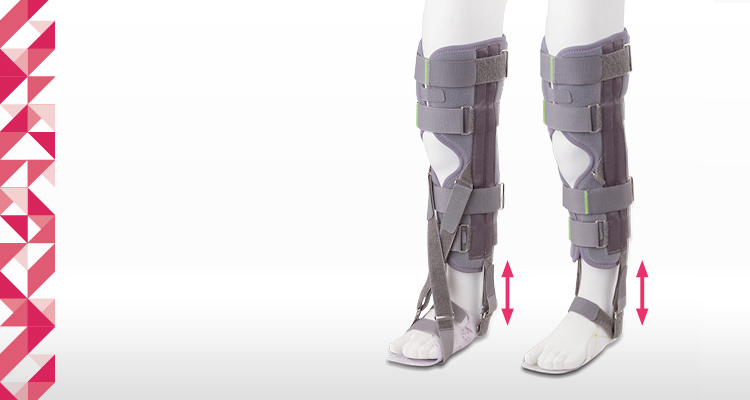 STATIC – immobilizes the knee and ankle in extension without the possibility of flexion and extension. For patients in whom it is possible to obtain a passive intermediate position. STRETCH – immobilizes the knee and the ankle in extension, it has a full range of flexion and extension, and a binder in order to gradually stretch the triceps. Intended for patients with a deficit of extension in the ankle of muscle origin. In order to fit the patients height, the shank part of the orthesis can be extended or the foot part can be completely disassembled. The bracings in the side and back part of the orthesis can be formed individually. The adjustment of the binder length in the STRECH version supports dorsiflexion of the foot.